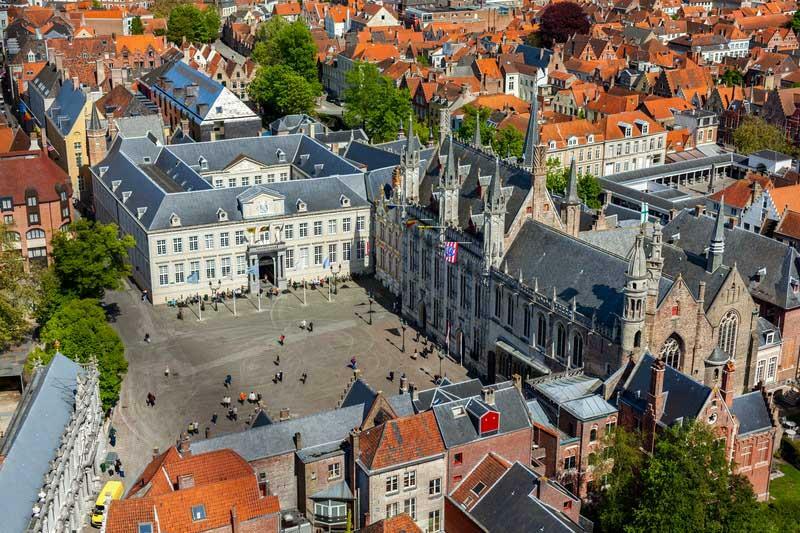 Grote Markt (Market Square) is the heart of the Old Town. It’s a World Heritage site with restaurant terraces, historic architecture, old city gateways and several bell towers too. Market Square is bordered by brightly colored tenement buildings, Provincial House, the Belfry Tower and Market Halls. This is the tourist center of Bruges. The Belfry was built in the 1200s. It has been rebuilt many times thereafter due to fires. Climb to the top and listen for the hand played carillon on the way. A short block from the Market Square is Burg Square. The Burg is the site for City Hall (Stadhuis) with its Gothic Hall and for the Basilica of the Holy Blood. Each spring, the Holy Blood is paraded about the streets by bearers dressed as crusaders. The tourist information center is located on the Burg and you can also rent bikes here to tour the Old Town. 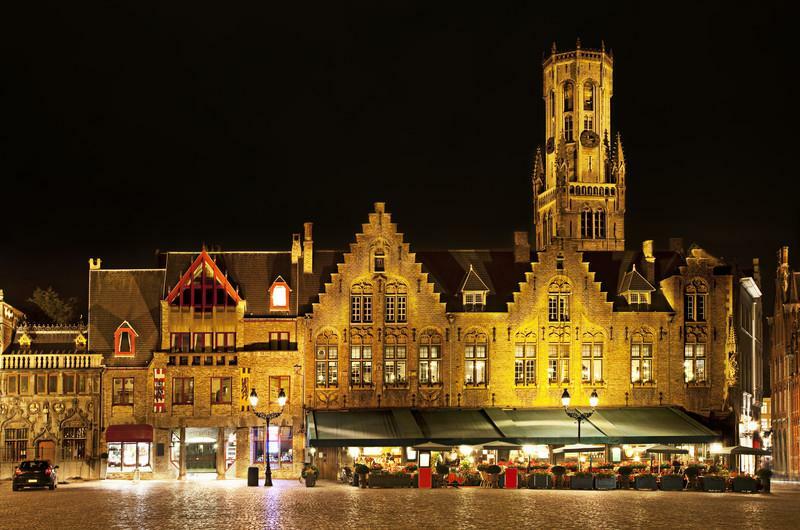 Less than a 5 minute walk north of the square takes you to the Choco-Story Bruges. 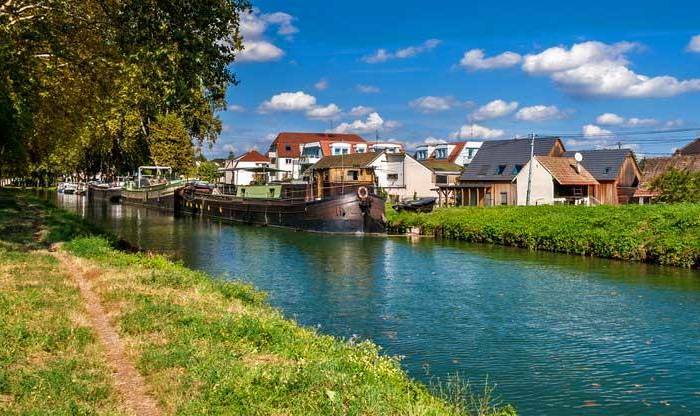 Exit the Burg to the south through Blind Donkey Alley and one block later you arrive at Rozenhoedkaai for picturesque views of the canal. 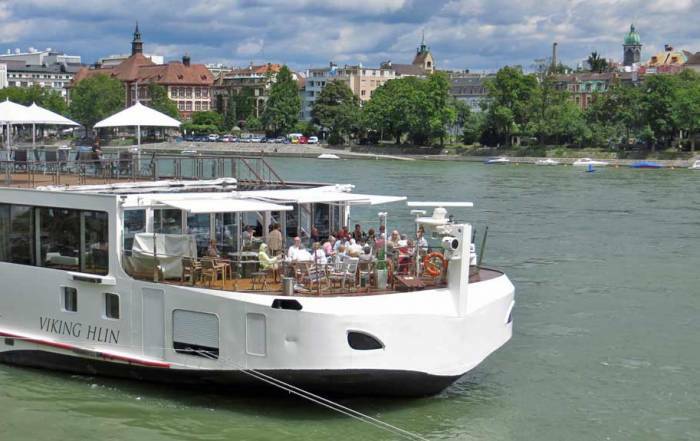 Take a canal cruise to appreciate the city. At the Church of Our Lady see Michelangelo’s marble Madonna With Child. 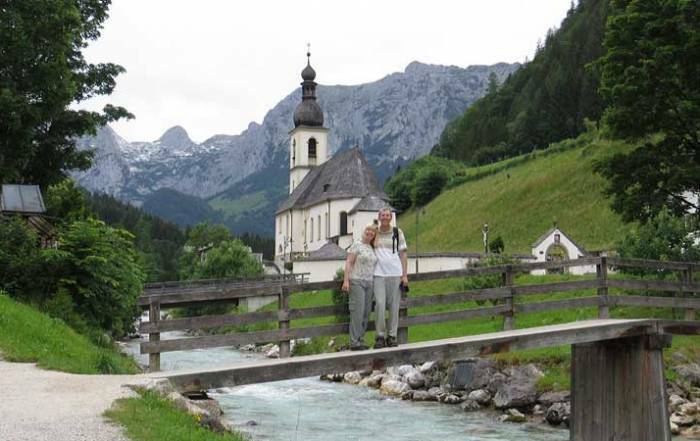 The church adjoins the Gruuthusemuseum, honoring the wealthy Gruutuse family that ruled the beer making process in medieval times. Across the street is Old St John’s Hospital with the paintings by Hans Memling. 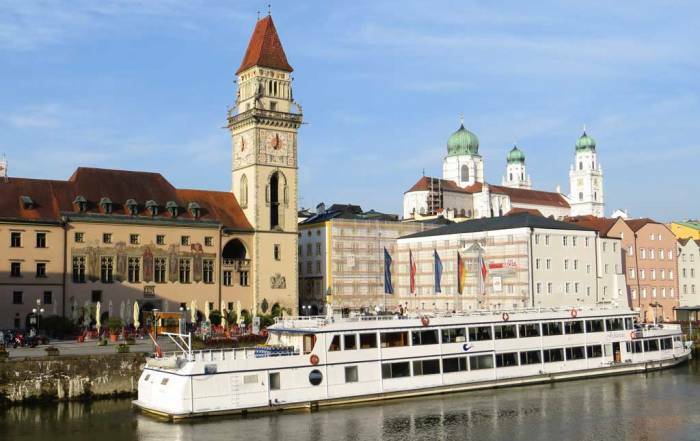 The Church of Our Lady is a short walk from Burg Square and a canal cruise passes the church. Sample famous Belgian chocolates. 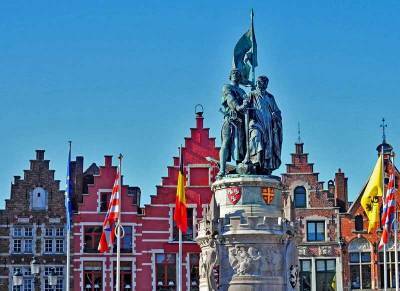 You can try world famous Godiva chocolates anywhere in the world, but in Bruges, locals prefer their chocolate fresh daily, like pastry. 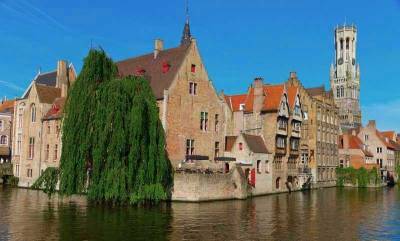 The Chocolate Line is highly rated, but numerous other options can be found on almost any street, including the Choco-Story Bruges. Savory or Sweet Crepes are for sale at many locations too. Brugs Beertje – a famous pub with hundreds of local brews. Try the local Straffe Hendrik. Vlammse frites – Try Flemish fries from a fry cart. These are so popular the city even has a Friet Museum dedicated to Belgian fries. Diamond Museum Brugge – Bruge is Europe’s oldest diamond city. The Beguinage (Begijnhof) – walls surround the whitewashed houses and the central garden of this 1300s catholic order. The Gate of Ghent (Gentport) – one of four remaining entrances to the old city. the Jerusalem Church in the less touristy part of town. At the – nearby, you can watch lace makers at work. St. John’s House Mill – a 15 minute walk from the Old Town takes you to the windmill. Enjoy views of the city too. Groeninge Museum – Flemish painting from Memling to Magritte. 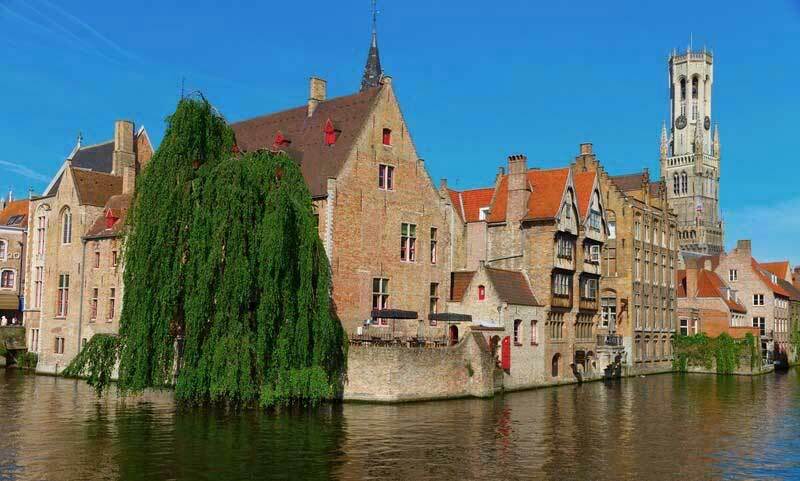 Travel less than an hour by train to Brussels. Travel an hour to Waregem to the Flanders Field American Cemetery and Memorial. 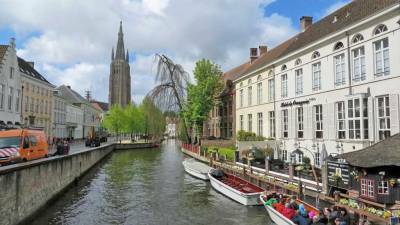 Expect Bruges weather to haveovercast skies and rainfall throughout the year. November receives the most rainfall, but an umbrella is a year round recommendation for visitors. 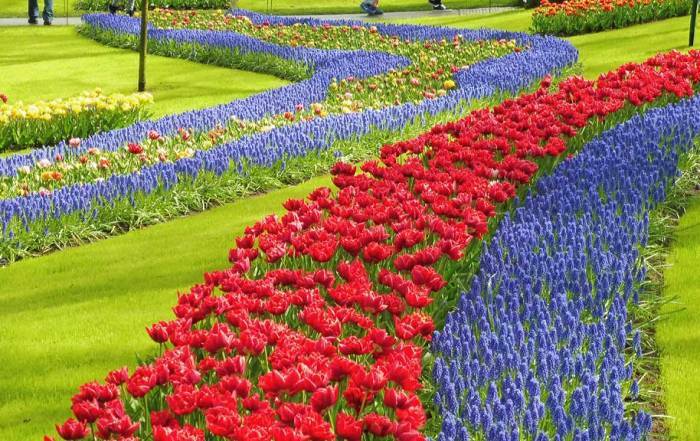 April and May provide the best opportunities for good weather with lower tourist volumes. The summer months are also excellent times to visit. Expect average summer highs of 66 F (19 C) and average lows of 58 F (14 C). Winter averages highs of about 46 F (8 C) while lows linger just above freezing. 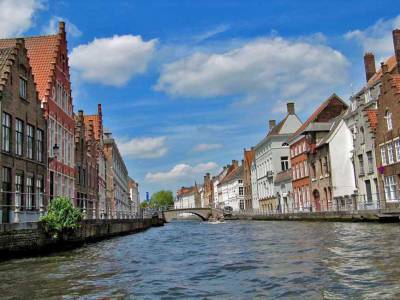 You can get to Bruges by Ostend – Brugge International Airport (OST), which just over a half hour west of the city on the coast. However, most visitors get to Bruges by train on frequent service from Brussels. The city is too small to support a subway system, but most of the sights are within walking distance from the train station. The French and English call the city Bruges. 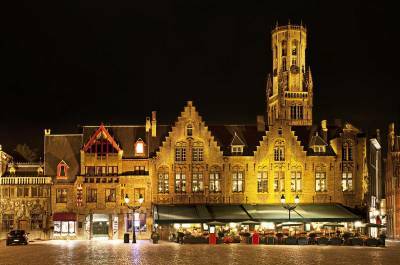 The Flemish people refer to the city as Brugge. The name translates to wharf. The city is in the area called Flanders. Bruges was a wealthy textile port from around 1000 AD until its canals and harbor silted up in the 1500s. The merchant trade switched to Antwerp and Bruges’s Golden Age ended. Today about 250,000 people live here. Tourism drives the economy. Cruise ship visits restore a bit of the former glory at the port, called Zeebrugge. 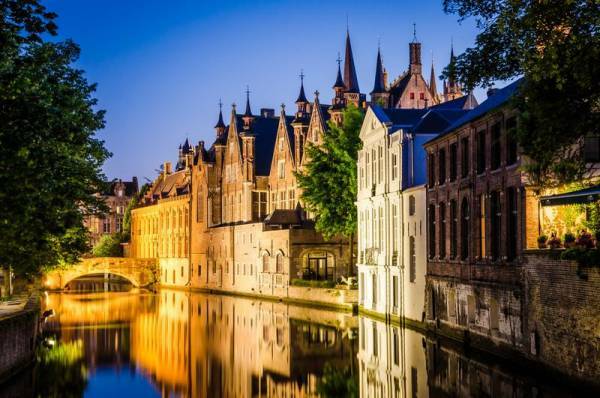 The city is famous for beer and Belgium is world renowned for chocolate. 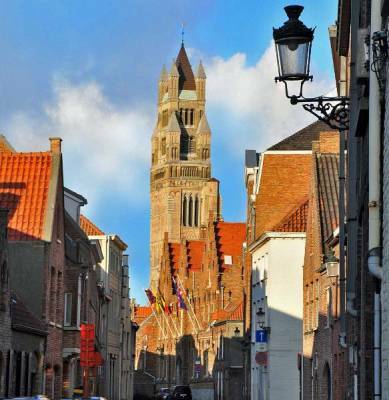 Bruges is known as the City of Bells and has live carillon music in Market Square.